BOSTON - Monday, November 27, 2017 - Mayor Martin J. Walsh today announced the appointment of Emme Handy as the Chief Financial Officer (CFO), Collector-Treasurer and Chief of Administration and Finance for the City of Boston. Handy brings more than a decade of experience in government finance, administration, and fiscal policy and management to the role. 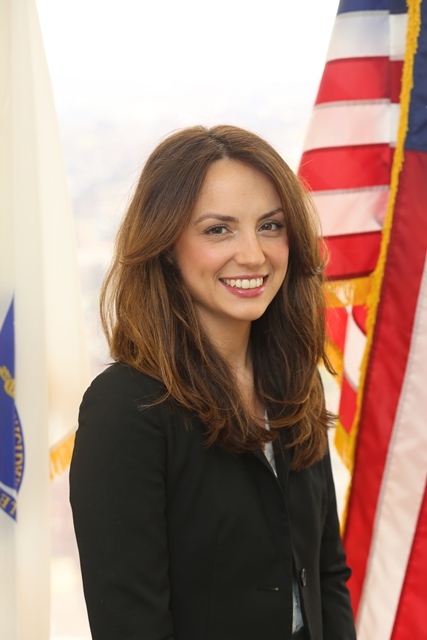 "I'm pleased to welcome Emme Handy as Boston's new Chief Financial Officer," said Mayor Walsh. "Emme has an impressive record of managing government finances and overseeing operations at a statewide level, and I look forward to adding her expertise to our team to build on our result-driven, responsible and forward-looking strategy to ensure that Boston's overall fiscal health remains strong." As CFO, Handy serves as the Chief of the Administration and Finance Cabinet, and is responsible for all aspects of financial management for the City of Boston. In this role, she will continue the sound fiscal stewardship of the city's human and financial resources to support the long term growth and stability of the city. Her financial responsibilities include debt and investment management, financial reporting, budget development and oversight, tax administration, and administration of enterprise-wide financial systems. As Collector-Treasurer, she is the custodian of more than 300 City trust funds. "I am honored to join Mayor Walsh's team and to have the opportunity to serve the residents of Boston," said Handy. "I am eager to get to work implementing the Mayor's vision for the city by building on his strong record of responsible management and financial sustainability." In collaboration with other City departments, Handy will implement the Mayor's strategic goals, increase organizational performance and manage the city's overall health--which has reached its pinnacle with perfect bond ratings--under Mayor Walsh. As CFO, Handy will oversee many departments, including Assessing, Auditing, Budget, Community Preservation, Human Resources, Labor Relations, Purchasing, Registry, the Retirement Board, Collecting, and Treasury. Emme Handy joins the City of Boston after serving as the Senior Director of Financial Planning and Analysis for the Broad Institute of MIT and Harvard, where she oversaw the development and implementation of the Institute's $400 million annual operating budget and $20 million capital budget. Prior to that, Handy served as the Assistant Secretary for Budget and Fiscal Operations at the Massachusetts Executive Office for Administration and Finance, where she oversaw the development and management of the Commonwealth of Massachusetts' annual $37 billion operating budget. As Budget Director in that office, she directed a team of 20 finance, policy, operations and federal grants management staff in developing a comprehensive, fiscally responsible budget framework for the state, while proactively managing spending and revenue to ensure balanced budgets capable of meeting public needs. Before joining the Executive Office for Administration and Finance, Handy served as a Fiscal Policy Manager and Analyst for the Massachusetts Senate Committee on Ways and Means, where she developed $3 billion in annual spending and revenue estimates for the Committee in the areas of public health, mental health, disabilities, and veterans' services. The Administration and Finance Cabinet ensures that city services are delivered with high quality, with high ethical standards, are financially prudent, are responsive to the needs of the citizens of Boston, and consistent with the laws and ordinances governing municipal government. Under the leadership of Mayor Walsh, the City of Boston achieved its fourth consecutive year of AAA bond ratings, the highest possible credit rating a city can receive. In February 2017, Moody's Investor Services said that, "Boston's AAA reflects the city's strong fiscal management and stable financial position as well as the large and growing tax base," while S&P Global Ratings said that they viewed, "Boston's management environment as very strong." For more information on the City of Boston's budget, please visit budget.boston.gov. Handy, a Northeastern University graduate, will begin her position as Chief Financial Officer, Collector-Treasurer and Chief of Administration and Finance on January 1. She currently lives in the South End with her husband, Matthew Handy, and daughter, Josephine.